Dubai, UAE – Wednesday 31st October, 2018: Dubai World Trade Centre (DWTC), the region’s leading destination for major exhibitions, conferences and events, has announced plans to expand the Gulfood stable of B2B industry events with the launch of Private Label & Licensing Middle East (PRIME) in 2019. Scheduled to run from 29-31 October next year, PRIME will be the MENA region’s exclusive exhibition for food and non-food FMCG product mix expansion and brand placement, connecting private label suppliers and contract manufacturers from across the globe with clients from the Arab world. The event is aimed at FMCG manufacturers of all forms of consumer-packaged goods (CPG) exploring brand and footprint expansion opportunities by selling product lines through private label and contract manufacturing. PRIME will focus on two core CPG product lines: food and beverage commodities such as packaged food and beverages, frozen and ready-to-eat, value-added products, speciality lines and pet food; in addition to other non-food items including cleaning products and supplies, personal hygiene, industrial and professional care, cosmetics, baby care and contract packaging. With the latest statistics from global data firm LIMA revealing the global trademark licensing business rose 3.3 per cent to reach US$ 271.6 billion in 2018, The Rise and Rise Again of Private Label 2018 study by Nielsen reveals the Middle East and Africa reports the world’s highest perception improvement - at 79 per cent - for the quality of private label products. Opportunities in the food and beverage sector reflect the general buoyancy in the wider Private Label industry, with the global packaged food private label market expected to grow at a CAGR of 3.5 per cent between 2014 and 2018 according to Infinium Global Research. 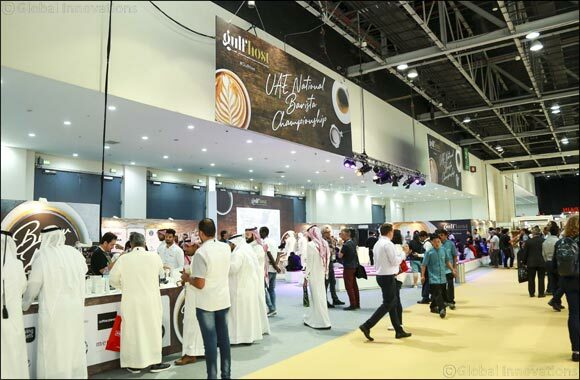 In conducting extensive feasibility studies while conceptualising PRIME, DWTC surveys revealed that 55 per cent of Gulfood 2018 exhibitors view Private Label as one of the industry’s most important trends, while 41 per cent of Gulfood 2018 visitors expressed a desire to see Private Label represented in DWTC’s expansive Gulfood portfolio of industry-centric events. “Gulfood has a long track-record of meeting global demand with regional needs and PRIME marks the latest chapter in our strategy to continuing innovating our events portfolio in line with clear local, regional and global growth segments,” added LohMirmand. Previous Story : Gonu Set Go!